APA’s new car buying service saves you time, money and hassles! The APA recommends a network of trustworthy used car dealers in Toronto. Our expert staff can help you select the vehicle that best suits your needs. APA has negotiated insurance discounts for members. This content was featured in the APA Newsletter. Didn't see us in your inbox? Subscribe today and keep up to date! There were 19 vehicles on the 2017 EcoRun, six conventional gasoline powertrains, three pure electrics, five plug-in hybrids, three conventional hybrids, one hydrogen fuel cell and a diesel. The 19 participating auto journalists were assigned specific vehicles to drive on each of the eight legs of the journey. I personally drove one pure electric vehicle, two plug-in hybrids, three conventional cars, one conventional hybrid and a diesel. Though range on electric cars is increasing rapidly (the Bolt has a theoretical range of 320 KMs), the need to stop and top up the batteries meant that it took two days to complete a journey most people could comfortably complete in a single day in a gasoline or a hybrid vehicle. Though both the Federal Government and those of several provinces are keen to reduce greenhouse gasses and promote electrification—with three provinces providing substantial rebates to electric car buyers—there is virtually no groundswell of support from vehicle buyers. 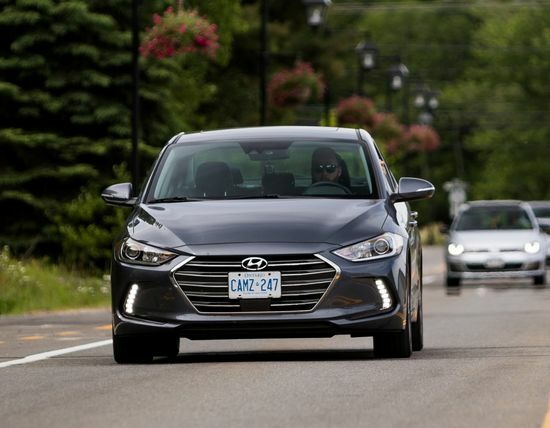 Seventeen years after the Toyota Prius, the most commercially successful hybrid yet built, was introduced, EV and hybrid vehicle sales remain a tiny proportion of the new vehicle market in Canada. Given the fallout from the Volkswagen diesel emissions scandal, and the decision by that brand to end diesel sales in North America, it is surprising that General Motors elected to market this car at all. Diesel disdain aside, the Cruze diesel has much to recommend it. Its smooth, quiet, torquey 1.6L diesel engine, hooked up to a slick-shifting nine-speed automatic, accelerates effortlessly and loafs along at 1500 rpm at 100 kilometres per hour. Virtues shared with the conventional gasoline Cruze include comfortable seating, a good ride-handling compromise for a mainstream touring car and impressive refinement. The Cruze diesel logged 5L/100 km over the whole EcoRun, which compares well with the 6.4L/100 km NRCAN rating. Though very old in design terms, the Ford C-Max Energi plug-in hybrid remains competitive when the substantial rebates available from offered by B.C., Ontario and Quebec, are considered. The car is sufficiently quick, quiet and delivers a carefully honed balance of ride and handling as well as precise steering. The C-Max Energi features spacious seating up front but rear seat legroom is more sufficient than generous and the seat itself is thinly padded. Cargo space has been virtually eliminated by the Energi’s battery pack as the car was not designed as a hybrid but is an adaptation of a conventional hatchback. The C-Max Energi logged 5.1L/100 km, equalling its NRCAN rating. With a theoretical range of 320 kilometres under ideal conditions, the Chevrolet Bolt represents a significant breakthrough for an affordable electric vehicle. With a high roofline and hatchback tail, Chevrolet has adopted the same people carrier format at the Ford C-Max, but with substantially more cabin and cargo space. The front seats are large, but some drivers will find the outboard bolsters on the bottom cushions too intrusive for long term comfort; however, the seats did seem to give a little on longer journeys. The rear seat is supportive and both legroom and headroom are substantial. The electronic display reflecting power flows is both elegant and informative, and minor controls are logical and straightforward. If the cabin has a downside, it is the inexpensive look of some cabin components and the large swaths of white accent pieces (matte and metallic) that makers of high-tech cars seem compelled to push onto consumers. On the road, the Bolt is swift, near silent, with a resilient ride, confident handling and accurate steering. Placing the gear selector in Low engages a high level of brake regeneration--so high that releasing the throttle pedal will result in the car slowing down to a full stop with no intervention from the driver. If the car is going to stop a bit sooner than the driver anticipated, dipping into the throttle slightly will power the car forward to where the driver intended to stop. This “one pedal driving” feels quite odd at first but is a delightful feature once you become accustomed to it. Drivers can also operate the brakes by squeezing a small paddle located behind the left side of the steering wheel. The brake lights of the Bolt illuminate when the car is being used in one pedal driving mode or when the steering wheel mounted paddle is being used, in addition to operating when the regular brake pedal is pushed. Though a full electric car, the gasoline equivalent of the electricity used to power the Bolt on the St. Jovite-Ste.Adele leg of the journey was around 2.0L/100 km, which corresponds with the NRCAN rating for the car. The Ioniq is built on a unique platform that supports the conventional hybrid driven on the EcoRun, as well as a plug-in version of the car and a full-electric variant. The gas engine/electric motor powertrain produces a total system output of 139 horsepower. The Ioniq’s dual clutch automated manual transmission, along with the smooth transitions between electric and gas drive modes, delivers a driving experience that is closer to that of a conventional car than many hybrids using a CVT can manage. The Ioniq has precise, nicely weighted steering and despite their regenerative function, the brakes feel conventional. Stable handling allies with a ride that may be a bit firm for some, especially in urban conditions. The cabin, fashioned from some exotic materials such as powdered wood, volcanic stone and sugar cane, is elegant and luxurious. The dash is stocked with crisp displays and the climate and audio controls are brilliantly straightforward. Seating is comfortable front and rear, with good space for the size of the car and an enormous trunk. In my hands, the Ioniq hybrid logged 4.7L/100 km on the Ste-Adele to Montreal leg of the run; higher than the 4.1L/100 km NRCAN rating, but the journey was plagued by miles of gridlocked Montreal traffic. Day two began with two Nissan Versa Notes, one equipped with a five-speed manual and the other with a CVT. Not quite ready for prime time when it was launched, the current Versa Note has undergone a number of improvements since introduction, but it is still not compelling in any way except for its impressive rear seat room. The Versa Note with the CVT logged 6.1L/100 km on the Montreal to Joliette leg of the run; which was lower than both the overall EcoRun consumption and the NRCAN rating. The five-speed manual version of the Versa Note was slightly more economical than the CVT model but the imprecise clutch and gearchange aren’t worth the effort and high revs while cruising hurt refinement. The low fuel consumption logged by the Versa Notes demonstrates that conventional powertrains can deliver low fuel consumption, and that continuous improvements could keep internal combustion engines relevant for some time into the future. The Hydrogen Research Institute (HRI) of the Université du Québec at Trois-Rivières is one of Canada's leading institutions engaged in hydrogen research. The focus of the Institute is to explore the field of sustainable energy system using hydrogen, especially as it pertains to energy storage. The facility in Trois-Rivières has a particular interest in adapting hydrogen power to harsh Canadian winter weather. Various experiments are being conducted, including how to purge enough water from a fuel cell to prevent it from being distorted by freezing, but leaving enough water—which is necessary for the fuel cell to operate—inside to allow it to function from cold. Like its soft top showroom mate, the new RF (retractable fastback) is an absolute joy to drive. 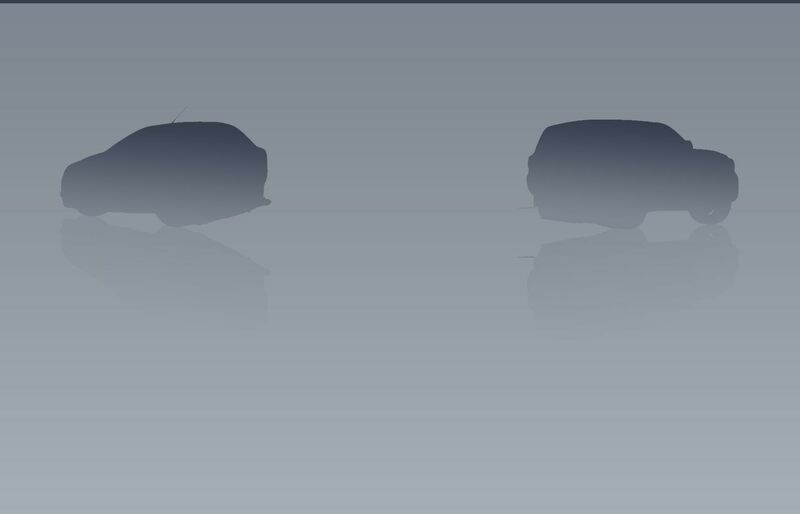 The RF features what is essentially a Targa top where the panel over the passenger compartment and the rear window retract into the trunk, leaving triangular roof panels in place at all times. Rainy weather prevented alfresco driving but the roof delivered coupe-like refinement and rigidity when in place. Inside, the seats are comfortable and despite the petite dimensions of the MX-5 RF, two large occupants can make themselves quite comfortable and trunk space is ample, with the folded top not impinging on luggage space. The MX-5 RF with a six-speed manual transmission logged 5.6L/100 km on the Trois Rivières to Deschambault leg of the run; which was significantly less than the 8.1L/100 km NRCAN rating. This is exceptional fuel economy for what is performance-focussed sports car using a gasoline engine. The original Miata from the 1990s, with less power, consumed roughly 40 percent more fuel on the highway than this MX-5 RF. The last stop on the EcoRun was the headquarters of AddEnergie in a Quebec City suburb. 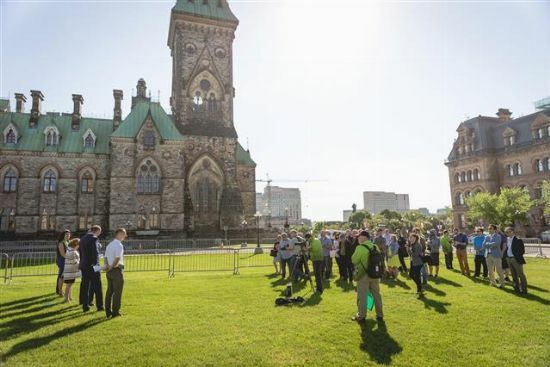 Along with the 1200 Electric Circuit recharging points operated by its partner, Hydro Quebec, subscribers to AddEnergie’s FLO network can access 3000 recharging points across Canada. AddEnergie’s FLO cellphone APP can locate the closest available charging point nationwide and tell subscribers if the point is available or currently occupied. In addition to public charging points, AddEnergie also offers home charging stations, manufacturing its own equipment that is designed to withstand harsh Canadian climactic conditions. Charging station covers are cast from aluminum so they won’t crack in cold weather, and AddEnergie’s recharging cables are made from materials that remain pliable in sub-zero climes. The new Prius Prime differs from the familiar Prius hybrid by having the ability to travel up to 40 kilometres in pure electric mode; covering most commutes, especially if there is a recharging point available at work. 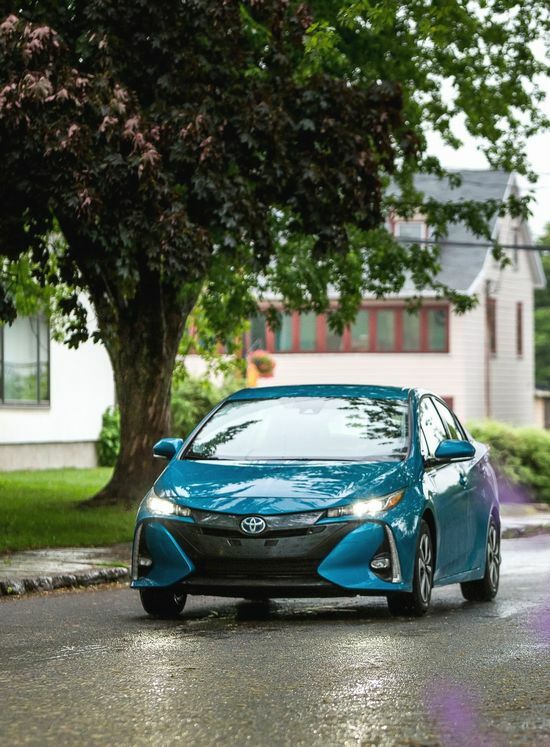 The Prius logged fuel consumption of 3.6L/100 km on the Deschambault to Quebec City leg of the journey, which was marginally higher than the NRCAN figure but around a 1L/100 km less than the NRCAN figure for the conventional Prius. The 2017 version of the EcoRun demonstrated both the increasing practicality of technology-rich vehicles and the steadily increasing fuel economy of vehicles powered by highly optimized conventional gasoline engines. On the tech-forward side, the new Chevrolet Bolt, with a theoretical range of 320 kilometres, is a breakthrough that can eliminate range issues for many drivers, making it first truly practical, affordable pure electric vehicle. That said, its affordability, and those of other electrics and plug-ins are dependent on generous rebates offered by the provinces of B.C., Ontario and Quebec, as well as contnuinig breaks resulting from not paying paying the taxes that are a large component of the price of fossil fuels. Conventional hybrids sold well while subsidized but registrations receded when supports were removed. It will be interesting to see what happens the day advances in electric vehicle technology can increase range and reduce costs to the point where EVs will evolve into a self-sustaining vehicle category, even if government purchase supports are eliminated. On the conventional side, the fuel consumption logged by the gas-engined cars during the test demonstrated their increasing frugality. The Nissan Versa Note consumed little fuel; the Mazda MX-5, which is a spirited sports car not developed with a priority on fuel economy, delivered extraordinary mileage when driven moderately at posted speed limits.